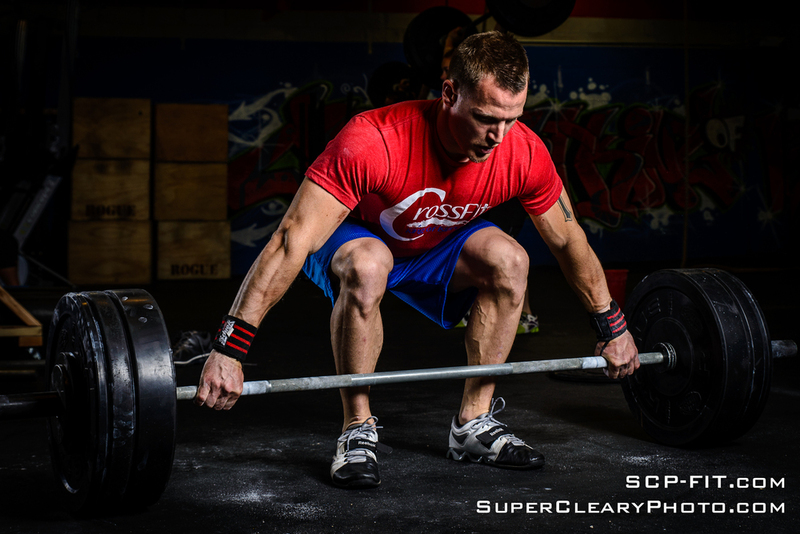 Do you want to take incredible action shots of sports, fitness, action, and CrossFit? Well look no further. Over a long series of blog posts I'm going to try and explain what I do to get my shots and hope in the process demystify some of the magic around amazing sports imagery. In this series of posts, I'm always going to top them with the PWOD - Photography Workout of the Day (whoa that's cheesy) - whether settings, gear, or the technique we're talking about. In this post I'm going to go over some of the basics of photography that are common among all cameras, but then explain some of the settings that I explicitly use when shooting this style. All of these points will have a post eventually, but here are the basics. And now the rest of the Primer and back to the basics. It's all about tradeoffs to get the right exposure. When you're trying to get the perfect shot, you have to look at each of these settings and determine what it is you want. As you make these decisions, you're balancing tradeoffs as all three settings are interconnected. So when you're trying to get the perfect shot, you look at a scenario: so I could get my image bright enough, but the ISO would be so high the image would be too noisy to use. Or to get the shot exposed right, I have to slow the shutter so much that my subject is blurry. Generally with this style of photography, you're always battling to get more light into a shot, so these tradeoffs are always in the forefront of my mind - and that of any photographer. Some of the other key points to always remember are to shoot in RAW. Whether you're on Canon or Nikon, shooting RAW is an uncompressed format that doesn't "bake" settings into the file and allows you the ability to fully process your images. I strongly recommend always post-processing in Lightroom. With the additions of Lightroom 5, you'll be blown away by your ability to expertly finish your images. Single shutter is also critical. Most sport shooters are going to leave their cameras in "Continuous High" which allows the camera to shoot as rapidly as possible when you hold down the shutter button. This allows the shooter to "spray and pray," hoping that in a barrage of 20 images, on frame is perfect. I think this is the wrong way to go about shooting, especially if you call yourself a beginner. Every shot you want to key in on composition, focus, and exposure. You want to think before you press the shutter, not just hope you get the shot. You want to think about everything that goes into the shot, not just let the camera do all the work. Setting your camera in "single shutter" means that you have to press the shutter each time you want a frame. Even in intense and exciting moments, you can still fire away - easily getting multiple frames per second, but you avoid the temptation to just hold the shutter down and "motor drive" through megabytes. Another key setting in your camera's setup that's critical is metering. I generally lean toward "center-weighted" metering, which means your cameras internal light meter cares more about the middle of the frame than the whole image, and will accordingly base its exposure off of that. The other option is "spot" metering. That will set the light meter to only expose for exactly what the cameras focus point is on. Only in certain situations will this work properly, because it will often lead to extremely blown out backgrounds. White Balance - set it to "Auto." You're awesome and you're shooting RAW now. One key advantage is that white balance isn't baked into the file and you can fully change it in post processing. And last but not least - focus mode. Always use continuous for Nikon or (Ai-Servo for Canon) . At least on the Nikon side there are a number of additional options - basically just outlining how many focus points your camera should use. These range from D9-D39, sometimes more. Pick any of them and see how they work differently. Continuous focus means that once you half-press the shutter, the camera will continue to adjust the focus of whatever you keep the focus point on (exactly what you want on moving targets). We'll get into back button focus later on, but I think that's hugely helpful for nailing these types of tight action shots. Quick review: action photography is all about tradeoffs, especially when you're indoors. You are always trying to get the fastest shutter speed possible, but are limited by the ambient light. Therefore you're setting your aperture wide open and then are left with finding the right balance between ISO and shutter speed, where your shutter is fast enough to get a proper exposure, but your ISO is low enough that only an acceptable amount of noise is introduced to the image. So go out and shoot. Get your camera into full manual and play around with these settings. Each one of these concepts will be fully expanded down the line, but feel free to chime in and ask me specifics before. Post your results below or send me a Facebook link.